Heather Concklin and Savoy were Champion in the Level 1 Jumpers. 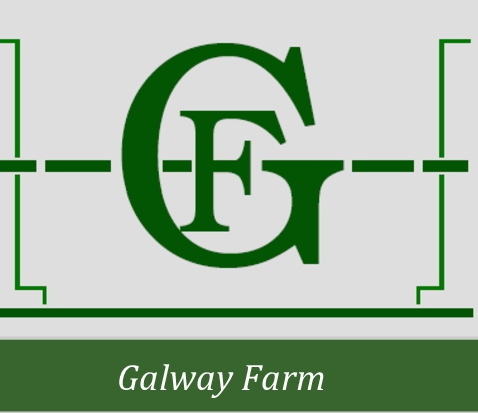 Ocala, FL – April 11, 2014 – Lorrie Canady’s Galway Farm of Long Grove, IL had a successful Ocala circuit and enjoyed a break from the harsh Chicago winter. With 18 horses in tow, the group spent February and March in the sunshine state having to deal with some rain days rather than snow days. 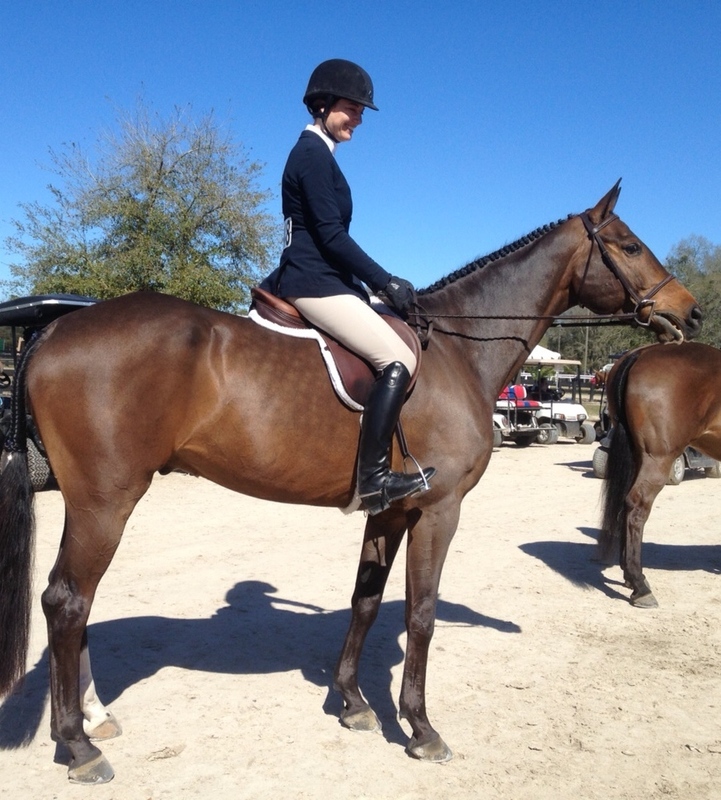 Molly McAdow, assistant trainer, rode Heather Concklin’s Savoy to the Circuit Championship in the Level 1 Jumpers. Concklin of Hinsdale, IL, also rode Savoy to several great ribbons including a third place In the Adult Low Jumper Classic the final week and was Champion in the Level 1 Jumpers. Marissa Sterba, 24, of Mundelein, IL and Sea Smoke were on a winning streak in the Adult Hunters which included winning the Marshall and Sterling Adult Hunter Classic two weeks in a row. 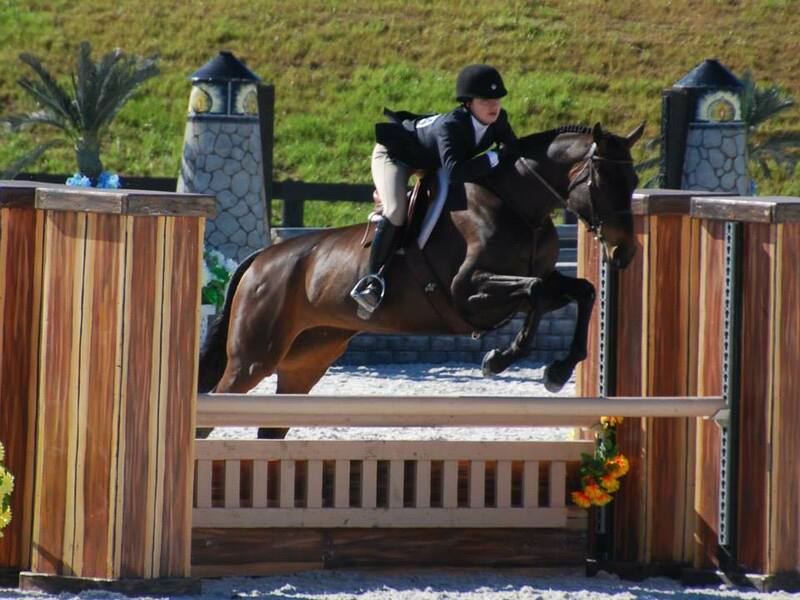 Marissa Sterba won the M&S Adult Hunter Classic two weeks in a row. "It was definitely helpful to show multiple weeks in a row," said Sterba. "If they had gone for all ten weeks instead of five I would have loved that! I thought the level of competition was also fantastic this year...it's always good to be challenged which isn't always something you can get locally." Sterba juggled her work with showing. "I was able to use a few vacation days to stay out there consistently for one week. Outside of that I would travel to the show Friday night to show Saturday and Sunday and then fly back again late Sunday night or early Monday morning depending on the week." Sterba also rode McAdow's Ivy League to a blue in the Modified Adult Hunters. 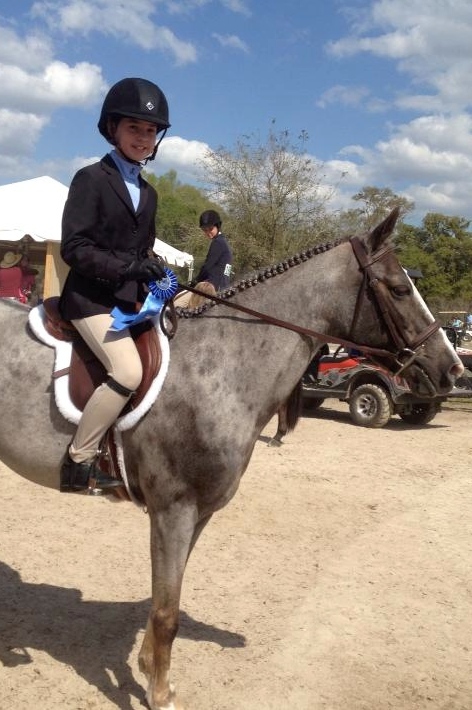 Molly Canfield won the M&S Pony Medal two weeks in a row. Another rider on a hot streak was Molly Canfield who won the M&S Children's Pony Medal two weeks in a row on Helicon’s Bright and Breezy. Becky Mati and Sir Gustafson. Congratulations also to Becky Mati and Sir Gustafson on winning a Modified Adult under saddle and ribbons in the Modified Adult Division. Mati and Gustafson were a consistent pair and continued to win good ribbons in the Adult Equitation as well. Kaitlin Frei and Mirage were third in the Platinum Performance Hunter Prix, and Sheldon Cooper was 8th in Devocoux Hunter Prix under the lights with Molly McAdow. Lydia Lane and Walter were Champion in the Hits Hunter and and second in the Bit O Straw Classic. Riding Luke Skywalker in the Large Green Ponies, Lydia also won a class and had top ribbons on the pony. Roulette 22 by Roc USA was Reserve Champion in the Low working Hunters and got great ribbons with owner Kylee Twarowski in the Children's Hunters. 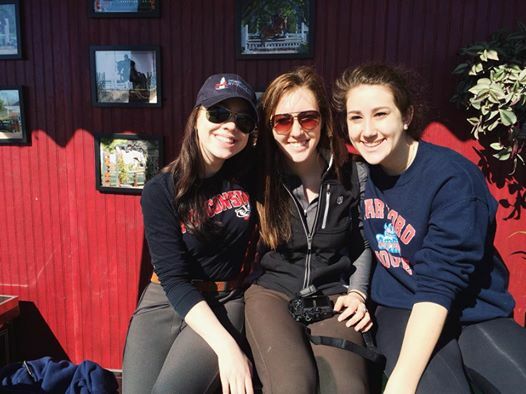 Galway riders Kylee Twarowski, Jessica Kantor and Julia Schlosser. Also Valentino, owned by Julia Schlosser, was Reserve Champion Level 2 Jumper and won a few classes in the Children's Equitation and the Taylor Harris Medal. Nina Donnelly and Berina had some of their most beautiful and consistent rounds together and got ribbons out of 50 in the Hits Hunters. 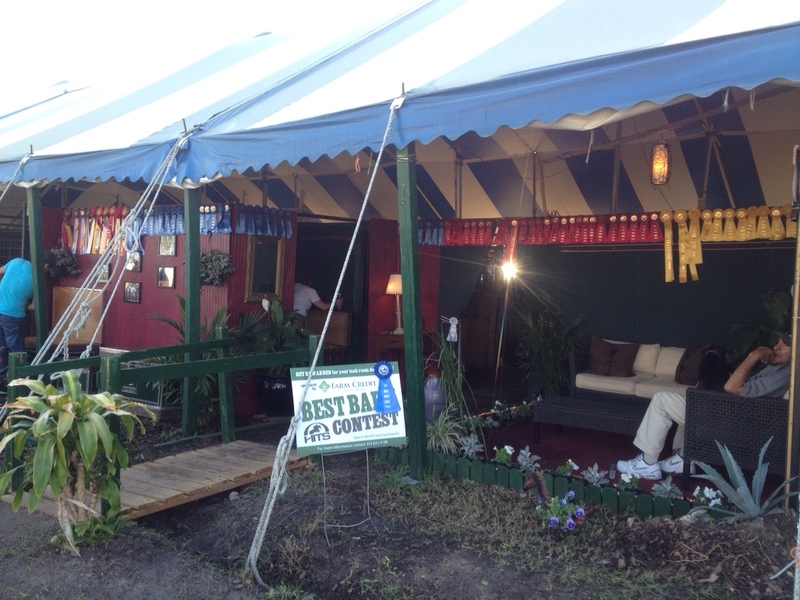 Galway Farm also won the award for the Best Tack Room Set up. Customers, horses and trainers all enjoyed the six weeks of horse showing, dinners and fun. Canady's clients loved the experience and mileage in the rings, the sunshine and great company was an added bonus. Galway riders are already marking their calendars for next year's Ocala trip. 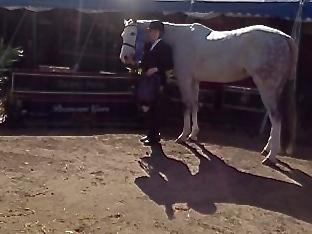 Galway Farm will head to the Showplace Spring Warm up in Wayne, IL next.